We slept in and watched some TV (TV!! We don’t have TV access at home so I always watch my fill when we get a chance) before heading out to explore the area a bit. 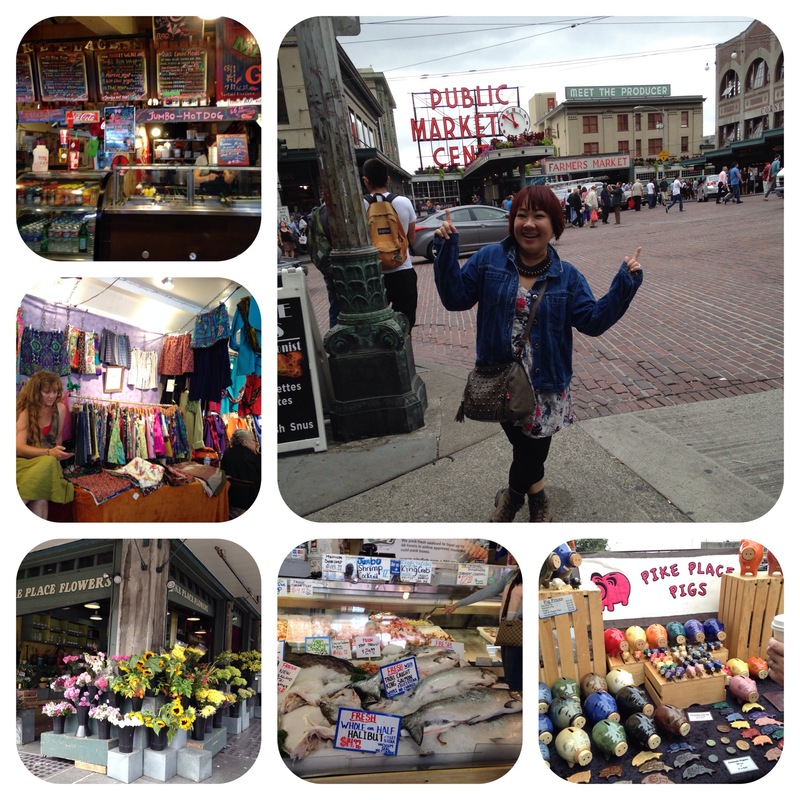 We first went to get T’s pass from the Washington State Convention Center then walked to Pike’s Place Market which was super close and convenient. 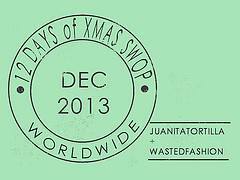 So many things to see, smell and buy! We ended up buying 1 small little piggie ornament for T’s Grammy. Other than sight-seeing there was some business at hand. 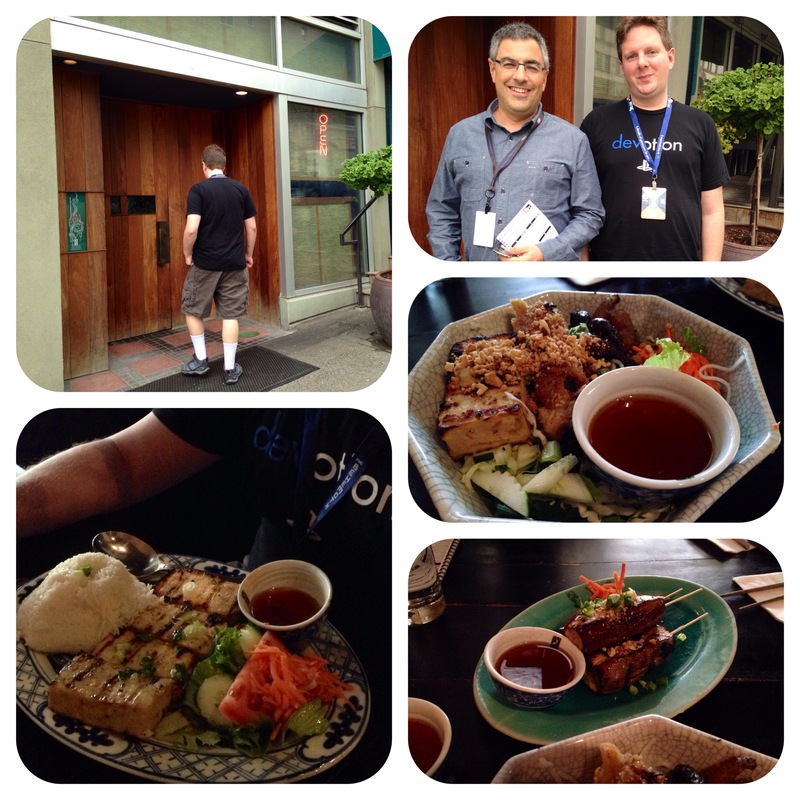 We met with Dan Adelman for lunch at Long Provincial Vietnamese Restaurant to talk about some insights he has for T’s work. It was a very fruitful and interesting conversation. Lunch was great too! 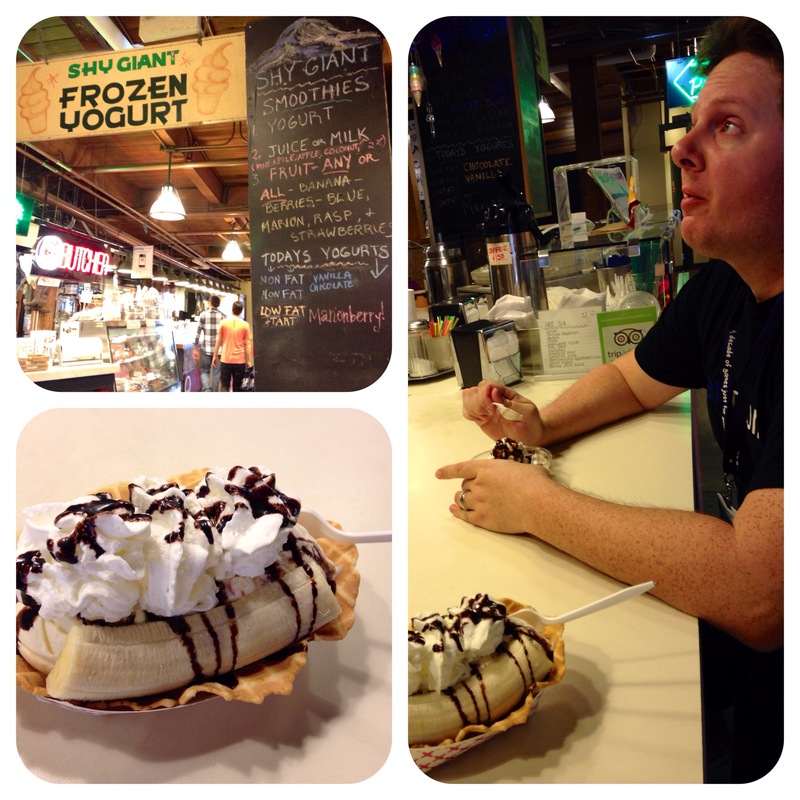 I was randomly searching “pikes place vegetarian” when I stumbled upon this eatery – recommended for being vegetarian and budget-friendly. 3 entrees and 1 appetizer was well under $40. I’m not very familiar with Vietnamese food but it certainly fed my hunger and homesickness for Southeast Asian flavours. After lunch, it was another short walk back to the hotel to rest before T had to report at the Sony booth for a walk through. While he was busy, I wandered off for a bit in the surrounding area, poking my head in some shops before meeting him again at the Convention Center. Then a little more walking found us in the infamous Post Alley Bubble Gum wall. I was in awe but T couldn’t wait to get out of there because the smell of chewed bubble gum made him ill. So we got out of there quickly and stumbled onto something that smelt a lot better – ice cream! 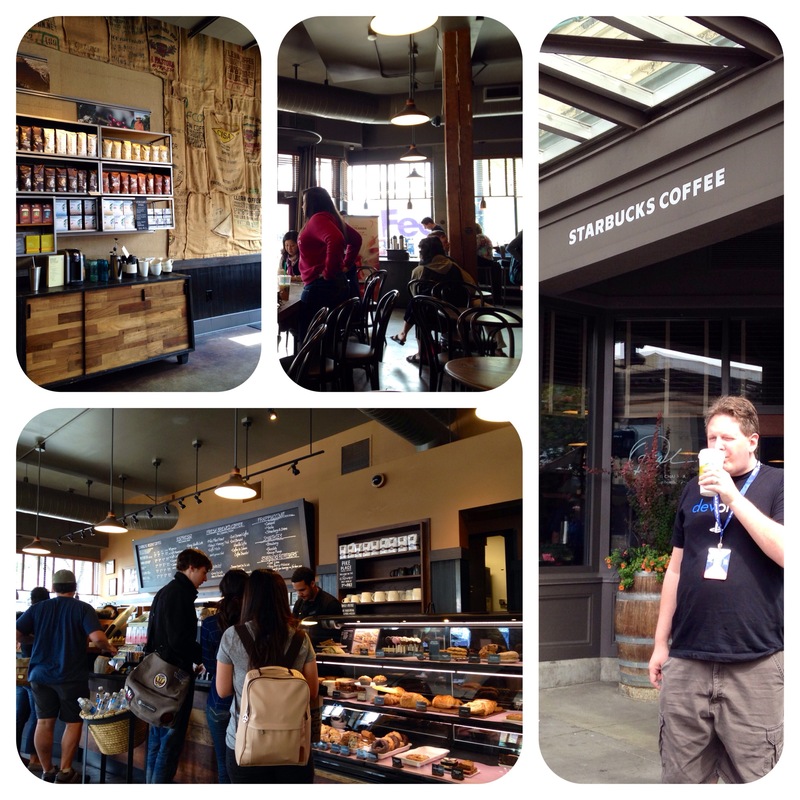 Categories: Rants & Raves | Tags: pax, pax prime 2014, seattle, travels | Permalink. I love your expression in the bubble gum wall pic. Man, how gross is that? This look so fun, I really want to visit Seattle on my next US trip! 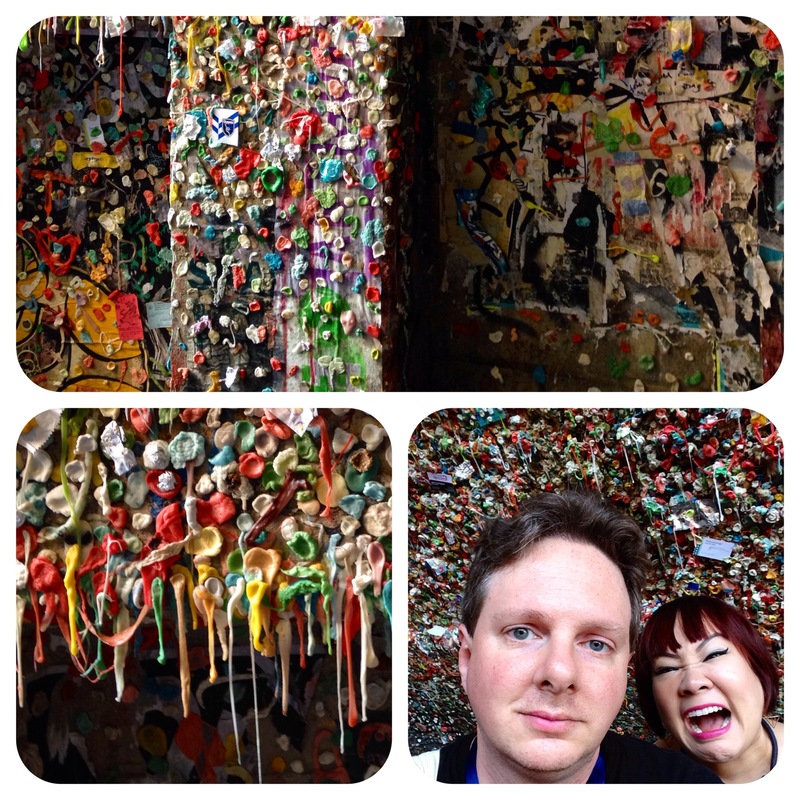 The bubble gum wall is super gross and super awesome!